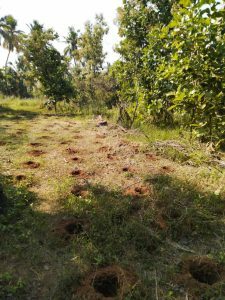 A generous donor has come forward to give his piece of land to grow TEAM mini forest nearer to Vepeli, Erode. We are sponsoring the project with our plants. This forest is based on Miyawaki method. This is part of TEAM Green Initiative.